A weekend at the beach is good for the soul and story ideas. I&apos;ve got a awesome recipe to share on Friday and a fashion find called the Sea Bag. 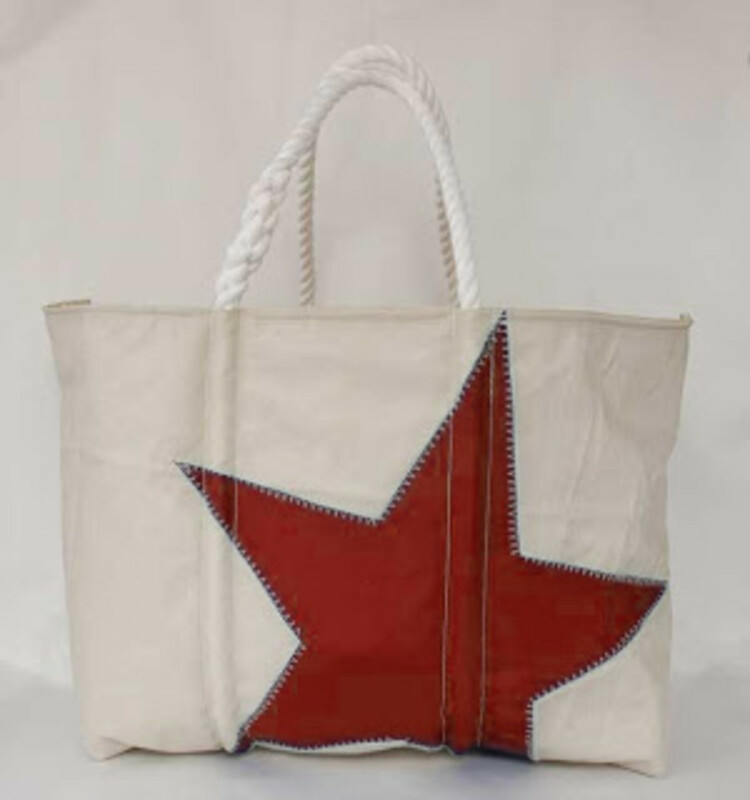 Since 1999 the folks at Sea Bags have been making custom tote bags out of recycled sails. Every bag they make has sailed around the world before it even leaves the shop. How cool is that! Our chic hosts for the weekend had one of these bags stuffed with kiddie beach gear. Genius. Made from ultra-sturdy sail cloth, these bags can take a licking and get soaked and still look fantastic. The Sea Bag has rope handles that are hand-spliced in Portland, Maine - the splice is a nautical skill that require craftmanship. Pick from three sizes and an assortment of nautical themes. The large size runs $145. If you want a specific size or number, place a custom order.